Debra Premashakti Alvis, Ph.D., C-IAYT, is a private practitioner, mindfulness teacher, and therapeutic yoga educator with over 25 years of clinical experience. 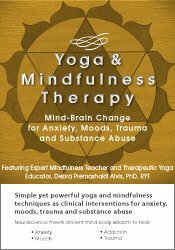 As a faculty member at the University of Georgia, Debra developed and led the Mind/body program offering mindfulness-based therapies, continuing education, and a clinical training program focused on the integration of contemplative and cognitive approaches. Debra’s interest in the intersection of mindfulness and neuroscience led her to study with leading experts Dan Siegel, Rick Hanson, and Bessel van der Kolk. 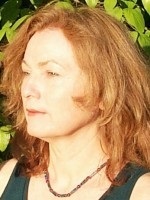 A thirty-year personal contemplative practice strengthens Debra’s work as a clinician and international presenter. In 2005, she was initiated into the Integral Yoga tradition and receives on-going instruction and mentoring in Tibetan Vajrayana meditation and in hatha yoga. Join Debra, a seasoned and engaging presenter, in this experiential seminar. Her wealth of knowledge, research experience, and a deep understanding of the brain/mind/body relationship transform into effective, easily applicable skills for healthcare professionals. Financial: Debra Premashakti Alvis is in private practice. She receives compensation as a Professor for the University of Georgia. Dr. Alvis receives a speaking honorarium from PESI, Inc. Non-financial: Debra Premashakti Alvis has no relevant non-financial relationship to disclose.